Executive producer of Netflix&apos;s &apos;She’s Gotta Have It&apos;, Tonya Lewis Lee, is passionate about Black women’s health. The film and TV producer, author, entrepreneur, wife, and mother of two is also an advocate for women and infant health. In 2018, Lee created Movita to help women gain a baseline of good nutrition and practice positive choices that support a lifestyle of well-being. Their products range from prenatal vitamins to fill nutritional gaps for the baby and mother to beauty multivitamins to support healthy hair, skin and nails. For Lee, Black women having a space to explore our unique beauty and prenatal needs is as important today as it has ever been. "We are discovering for example that products made specifically for our hair, make our hair healthier and more beautiful," Lee said. "We are also understanding that when we come together to share our stories around our beauty and our birthing, we can help each other be as healthy as we can be." 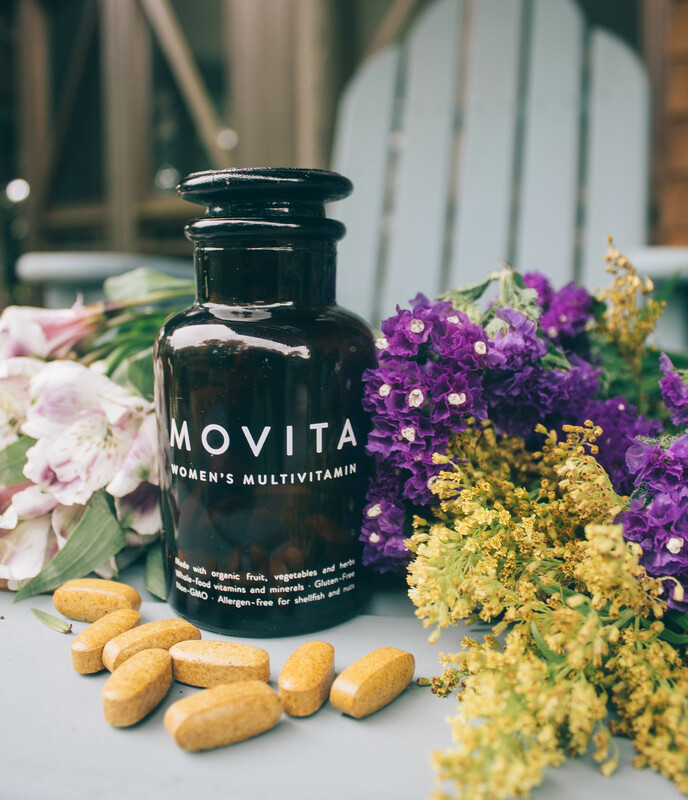 Movita multivitamins have a unique production process: it uses whole food ingredients that are individually grown and cultured, which means the multivitamins can be taken on an empty stomach at any time of day. They are also vegan, containing no meat, dairy, or egg, and are gluten and allergen-free for shellfish and nuts. With advisors like Latham Thomas of the Glow Maven and customers like Robin Roberts of ABC&apos;s Good Morning America, it’s no wonder word is spreading quickly within the female black community about Movita. Interestingly enough, Lee cites Nola Darling (the main character featured in Netflix&apos;s She&apos;s Gotta Have It) as a personal inspiration to living the Movita Life. The Movita Life is most easily defined as a Black woman practicing positive choices to support her overall health and well-being. "Nola Darling as a contemporary free-spirited Black woman who is making her way through her struggles- even some of her own making- is a personal inspiration to me and I would say she is living the Movita Life," Lee explained. "Nola engages in self-care, goes to a therapist, works out, spends time with people who support her, and she fights for what she believes is right! I think the Movita Life would be an inspiration to her just as she is an inspiration to us." Lee intentionally created Movita for Black women. "I do feel very much that it is my mission to empower black women around our health in totality," shared Lee. "Black women need to know that people are paying attention to what is happening with our health specifically and trying to come up with ways to help us all live our healthiest more beautiful fulfilled lives." It’s no surprise the same passion for social justice that runs through Nola Darling’s veins can also be found in Lee. That passion also fuels Lee’s desire to bring Movita to as many black women as possible. "Much of the issues that plague our community can be addressed through raising awareness, educating people and working with communities to provide healthy lifestyle opportunities to people," Lee revealed. "I care about my community of Black people. I want us to be strong and healthy and keep our family going…our ancestors endured too much. It is time for us to take the fight further. We can only do that if we are truly healthy." Movita can be purchased on the Motiva website, Amazon, C.O. Bigelow and BLK + GRN.